This past Saturday was a very busy day for the Wings of Blue and the AM-490 Cadets. 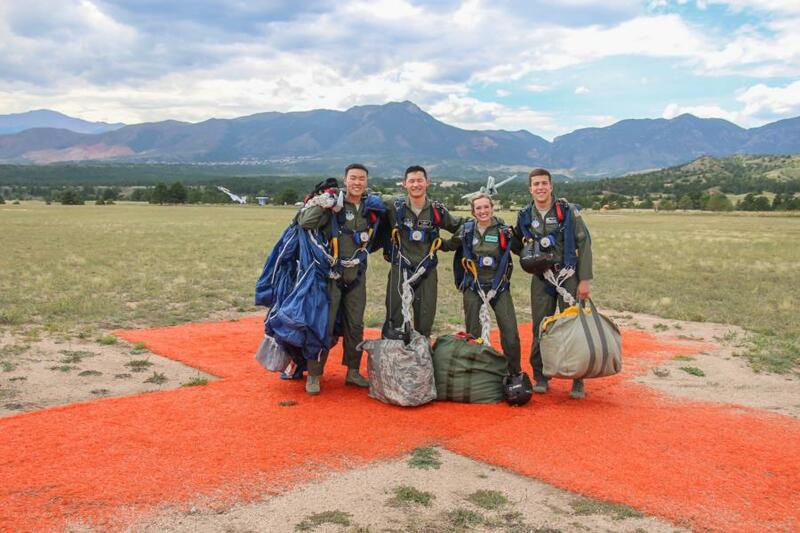 Click here to read some background on Jump from our blog two weeks ago when these cadets were in the middle of Ground Training. During the academic year, all classes are split into M and T days and depending on what their schedule is like will determine what day they will take a class. Saturday’s class includes all M and T day groups. 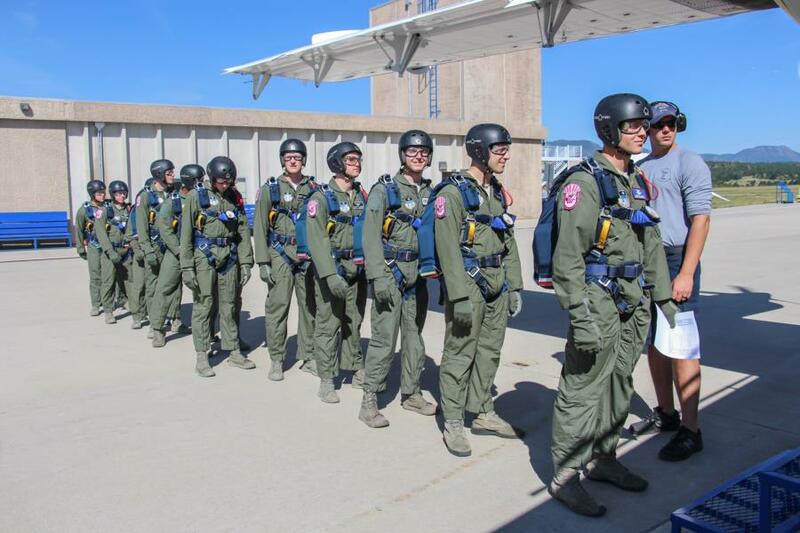 Jump started bright and early and went all day which gave Cadets more than enough time to be able to complete all five jumps and get their Jump Wings. 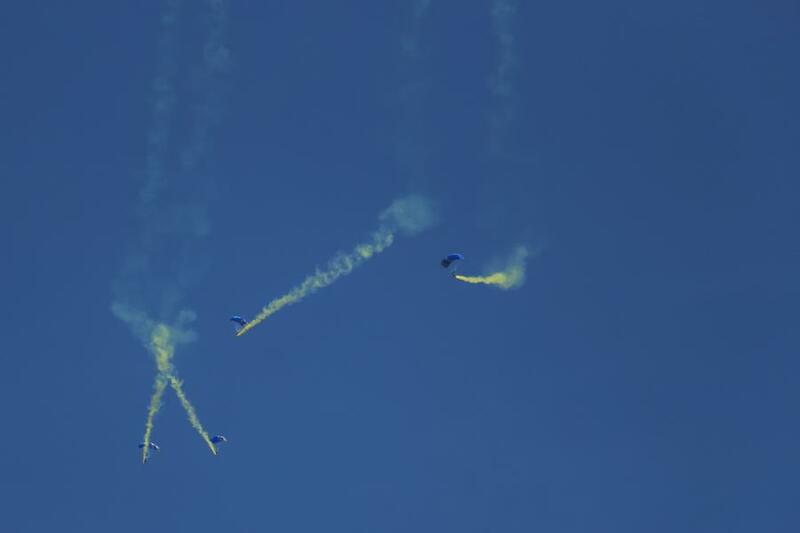 Some cadets were only on their third jump while others only had one jump left. 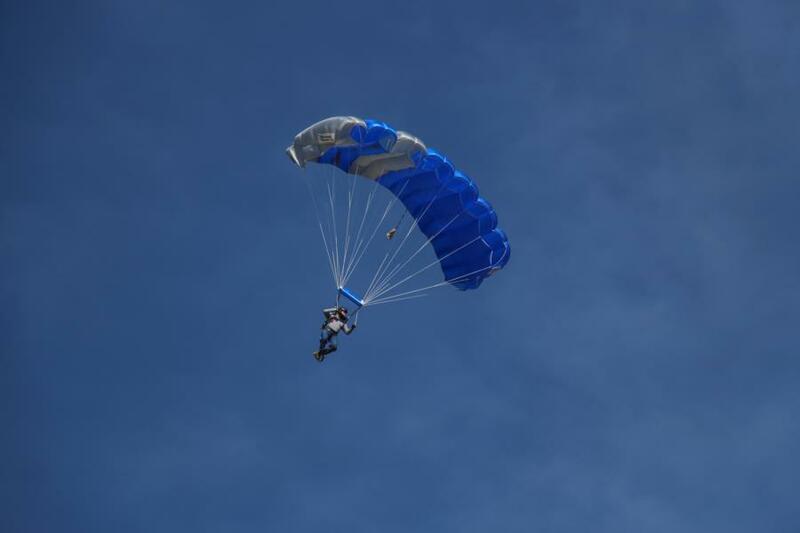 Thankfully, the weather was perfect and with no delays everyone in the AM-490 class completed their 5th jump. 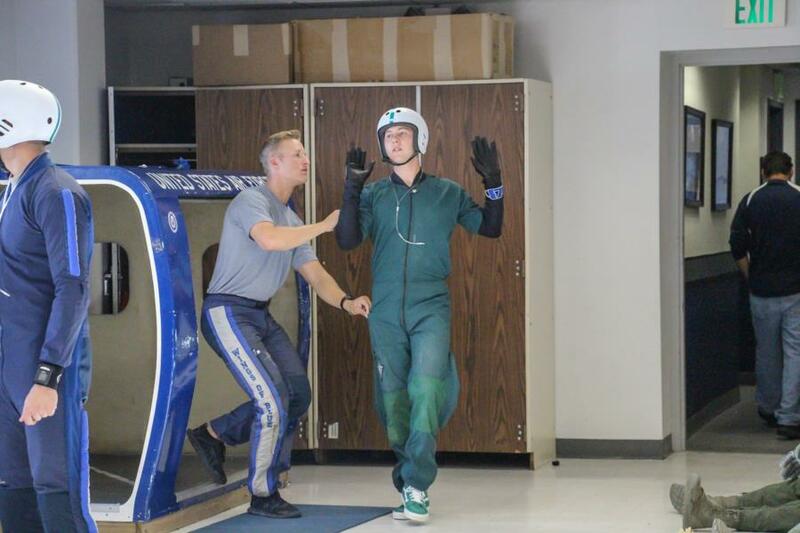 In the gear room, you can see them practicing their Arch-Count-Pull sequence below just as they had to do during their Ground Training, only this time they have it memorized to a T.
Each jump is videotaped from the second they exit the plane through their 10 second freefall, after the entire group has landed they are then all briefed and graded on the execution of their jump. 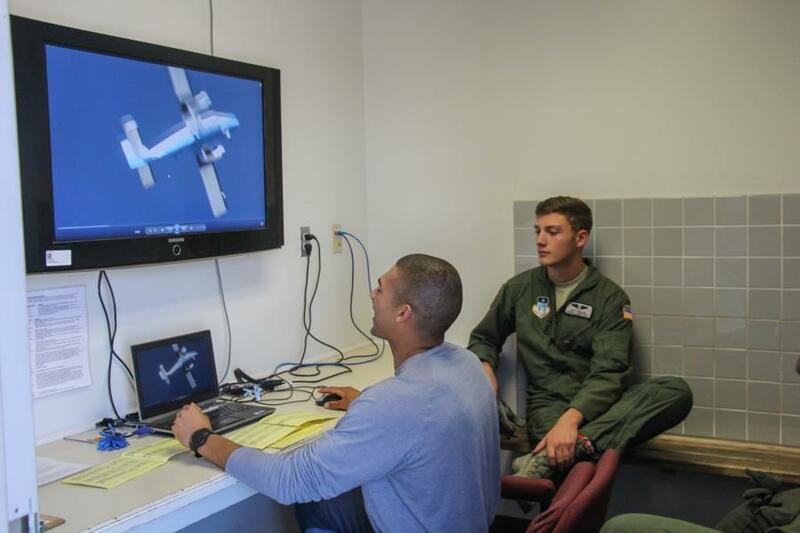 Not only was this a big day for the AM-490 class, Saturday was also big for the WoG (Wings of Green) Cadets who just recently were selected onto the team. We were able to catch some of them practicing with WoB (Wings of Blue) Cadets before getting onto the plane. 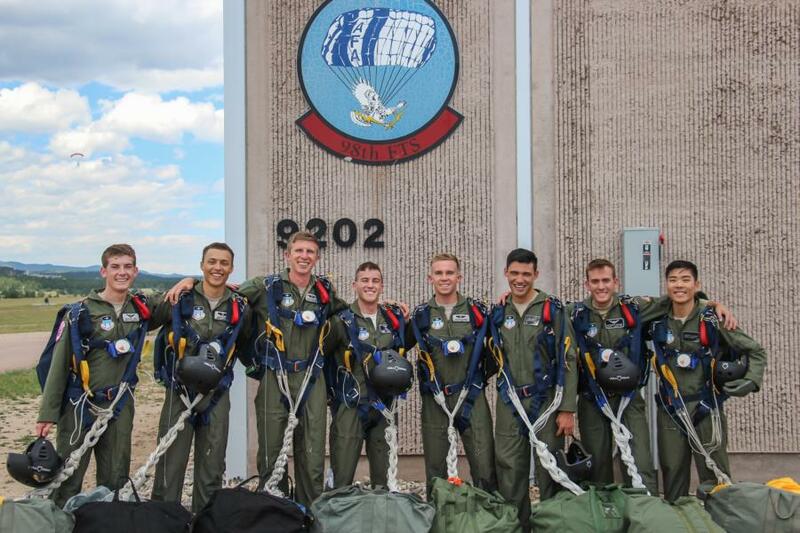 For them, Saturday was the first day they had to pack their own parachutes and jump out of the plane, this is their first time jumping since they themselves went through AM-490 over the summer! Throughout this year the WoG Cadets will practice, practice, practice and begin to learn technics, patterns, and more as they train to become the next Cadets on the WoB Team. How exciting! 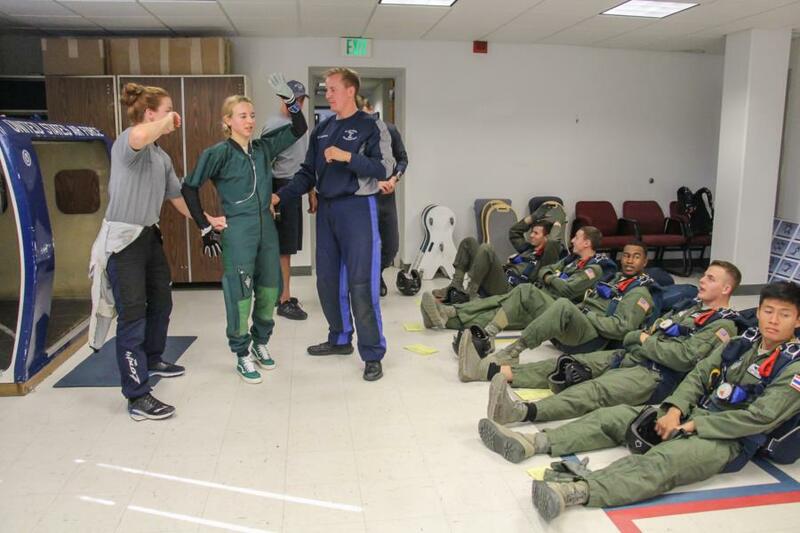 Another exciting event that happened Saturday was the Wings of Blue practicing their gas jumps, as seen in the pictures below. This type of jump is used for shows and other big jump demonstrations. 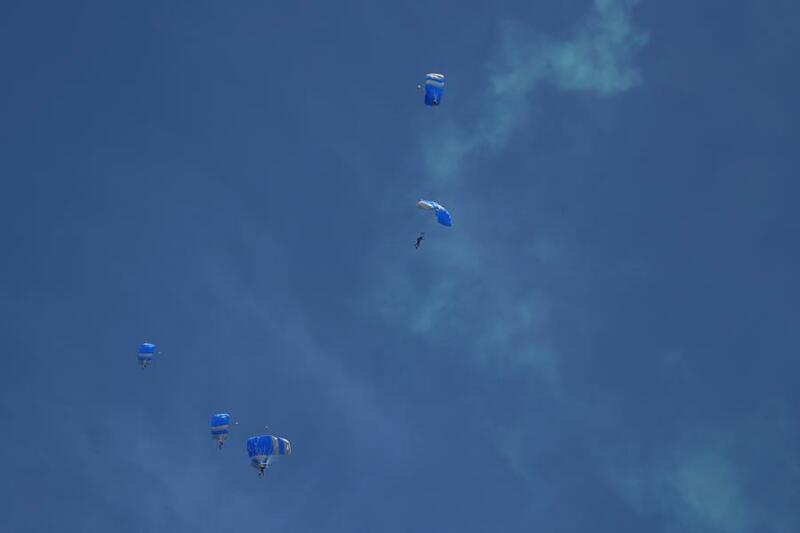 They start by forming up into a circle as they freefall then all breakaway. The gas highlights their jump pattern and their jump skills as a team. To view the rest of the pictures from our coverage of Jump on Saturday, go to Galleries - Airmanship - Jump. Or click the link below.